Evidence of large-scale horse slaughter has been unearthed in the so-called Yongshan Blood Pool, a sacrificial site that dates back more than 2000 years in China. Archaeologists have unearthed the remains of many horses, as well as remnants of wooden and bronze chariots, jade artifacts and figurines in excavations this year at the wider site. The ruins that contain the sacrificial pit are believed to date back to the Qin (221-206 BC) and Western Han (206 BC-AD 24) dynasties. They lie in northwest China’s Shaanxi Province on the outskirts of the ruins of Yongcheng, believed to have been the capital city of the Qin Dynasty. The ruins are near a village in Fengxiang County. The Yongshan Blood Pool is but one part of elaborate ruins covering tens of thousands of square metres. 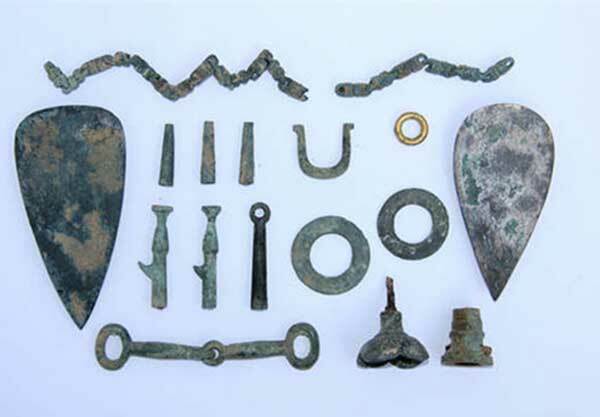 Archaeologists have so far unearthed more than 2100 pieces of jade ware, bronze carriage components, horse gear and weapons across the excavation site, with the promise of much more to come. Excavations completed from April to November this year covered about 2000 square metres – a tiny fraction of the entire site. Sacrificial activities in pits at the site may have continued for more than 700 years, according to researchers.